Electrical power grid is one of the most complex interconnected networks mankind has ever created. This complexity is further getting increased with integration of renewable energy sources exhibiting intermittency and rapidly changing load profiles. Incidences of cascade failures and recent blackouts are increasing on account of such complexities and stress in the power grid. 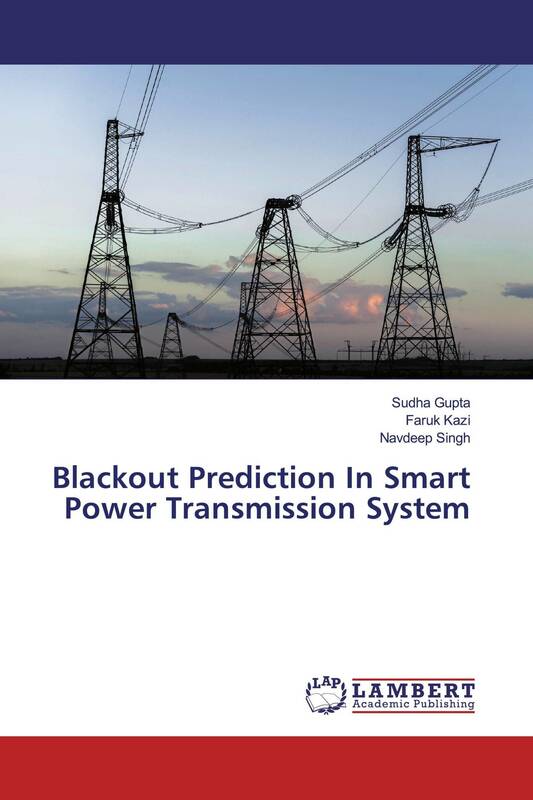 Research work presented in this book is motivated by the largest blackout experienced in India on two consecutive days i.e. on 30-31 July 2012. The analysis and prediction models presented in this book avoid traditional load flow equations and uses probabilistic and topological framework. The concept of well proven random variable, probability theory, relative entropy and machine learning techniques has been used for mathematical modelling and simulation of Blackout prediction. The approach is well suited for emerging philosophy of smart grid which relies heavily on control, computing and communication technologies. The book is useful for researchers who are working with power transmission network, contingency analysis, security assessment and centralised monitoring of future smart grid WAMPAC system.